Handmade from 100% recycled/re-purposed climbing rope/ 2 ball figure 8 tug is perfect for 1 or 2 dogs. Great for tug-o-war! 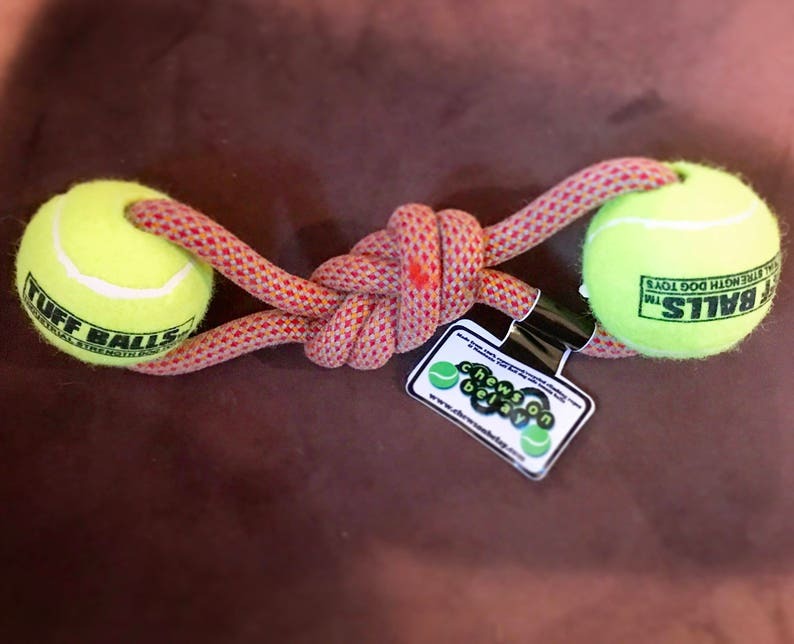 Handmade dog tug made out of recycled/re-purposed climbing rope and Tuff ball tennis ball. Each tug is washed in ALL so it's free of debris it picked up as it's life as a climbing rope. Tuff balls are a non toxic, thick rubber dog specific tennis ball. Colors available are blue, green, purple, yellow and orange. Please SPECIFY at checkout what color you would like.